Obama's favorability is dropping, and guess what, the NRA is now more popular than Obama. Who would have thought? There are several lessons to be learned. Don't back down! The NRA didn't back down or begin with a compromise but stuck to their guns on the core issues. Offer alternatives. the NRA basically offered their own alternatives such as armed guards at school and expanded police protection. This forced the gun control lobby to argue different issues. The NRA turned this into a battle of the rights to own a gun for self protection and protection against tyranny. They are now winning the intellectual debate. Lesson three, If you wrestle with pigs, cut off the head of the pig and have ham for breakfast. Obama's philosophy is to destroy the right and the Republican Party. Many conservatives and Republicans may not realize that but the NRA does. The NRA doesn't want to be ham for breakfast. Know your opponent's real goals. 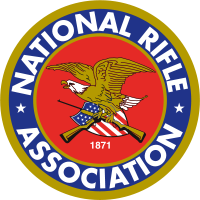 The NRA understands that Obama and the left wants to elminate all guns and be rid of the Second Amendment. So why compromise with folks who really want you dead? If this was a battle of how best to perserve the Second Amendment while protecting Americans, compromise becomes more likely. If this is a battle over confiscation of guns from law abiding citizens, then you fight to win. The NRA understands that Obama wants to destroy the Second Amendment. Don't listen to consultants and strategistst that your ad campaign must be nice, sweet and you must reach out to the uncommitted independent who simply wants us all to get along. If this was the case, Obama would have lost. Romney's entire strategy in the third debate with Obama was to appear reasonable and nice. This didn't work as Senator Ted Cruz quipped, "I thought Romney was going to french kiss Obama." The NRA ad including Obama's children sent a message. Use kids as prop, we can too. Besides are our children any less important than Obama's? This follows lesson five. Don't apologize for ads and if some of your erstwhile supporters get weak kneed, keep on plugging..Former Senator Gramm summed up the proper response in a campaign in which his opponent demanded an ad be taken off. He told his staff to double the ad buy of the ad his opponent didn't like. The NRA's strategy is simple, punch me in the nose, I kick you back in the groin. If you are fighting for conservative causes, don't try to please the media. Assume the media hates you and go over their head. The NRA's lessons to conservatives is that we are in a battle for the soul of America and the other side won't rest until we are utterly defeated. So for the next four years, there are very few issues that can be compromised. During the Lewinsky crisis, Bill Clinton's advisors told him that his Presidency was at stake.His response,"We just have to win." Clinton took a win or die attitude and he won. Obama believes in a win or die attitude and so does the NRA. Will we?